That would appear to be the question, as World Snooker chose the recent Lisbon Open event at which to trial a new system of ‘polishing’ the balls prior to matches, in an attempt to reduce the amount of kicks and bad bounces in the game. 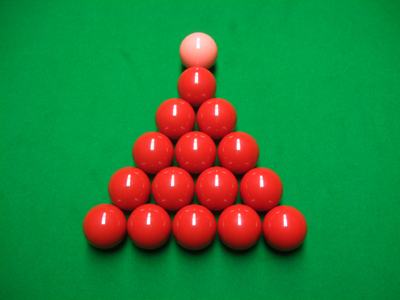 As is ever the case in snooker, feedback was varied, with some praising the conditions and others arguing against the test, particularly at an event carrying ranking points. 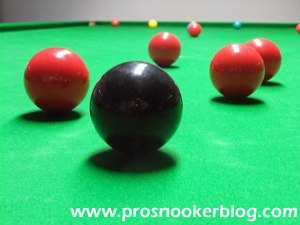 Regular watchers of snooker will be no stranger to the phenomenon of the ‘kick’ whereby either the cue ball or object ball jumps up in the air on impact and generally results in either position being lost, or worse, the pot being missed for the player at the table. Over the years I have read several theories put forward for kicks, from static electricity to chalk dust, to temperature, but these days it is generally accepted that the scientific cause at least, is the increased friction between the balls when they collide. Add to kicks the seemingly increased numbers of ‘bad bounces’ from cushions, with balls coming off them quicker than they are going on and it is clear to see that table conditions generally are one of the big talking points amongst professionals at the moment, as demonstrated at the recent UK Championship. 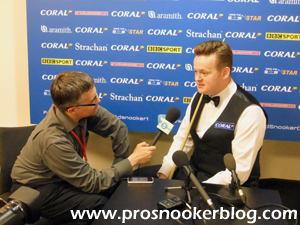 One player particularly concerned by the issue during the past 18 months has been Shaun Murphy, who has undertaken his own research and championed potential measures such as turning the under-table heaters off (saying that they chemically activate the oil content in the cloth that causes the kicks and big bounces), and more recently, advocating the use of the ‘ball cleaner’ or ‘polish’ recommended by ball manufacturer Aramith. Following particularly vocal criticism of the conditions in York recently, World Snooker this week took the decision to trial the latter suggestion, although perhaps unfortunately, seemingly without telling the players first. So what has the reaction been like? First match of my pro career without any kicks. 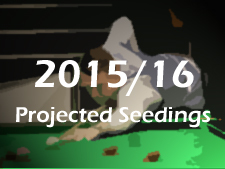 Thank you @WorldSnooker1 for finally using my ideas to reduce them. Hope they carry on now. 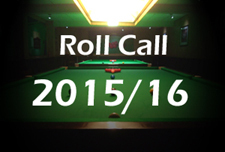 @MichaelWasley @ProSnookerBlog @CueTracker_Ron It completely changes how the balls react though! I’d rather have the odd kick. “There is a difference between a genuine kick and a badly struck cue ball causing undesired contact (ie cueball isn’t at same level as object ball on contact). That can’t be helped. “Polish reduces friction but the balls will definitely react differently. The pack will split better, the white will react at a different timepoint, so cue ball control will require different spin/pace to get same position. All minor adjustments but adjustments all the same. The pros will notice this, but that’s because they are used to more friction. It’s all about the length of time the balls are in contact and the amount of grip between balls. “I think the pro cloths are thinner so it makes the balls bounce more before contact than club cloths. I think as well that stun shots (white doesn’t spin) can kick when the ball rotates 180 degrees (or equivalent like 540, 900 etc) so the chalk mark makes contact with the object ball. But those kicks Ronnie doesn’t get are the ones which aren’t kicks but are caused by the white not being struck parallel to cloth. Also thicker cloths mean less bounce (exaggerate and think carpet, ball won’t bounce as much as on glass). “So basically the players that are complaining are right, because the balls are reacting differently, but conditions are more “perfect” because they remove a % of friction which they aren’t used to. “It’s a tough one, I think Aramith who are the main ball manufacturer should be held accountable and develop a coating that has less friction on contact. The other way is to make balls slightly more dense to compensate. But ball manufacturers have a duty to engage in this debate and I don’t see any of them doing so. So where do we go from here? Should the polish be persevered with at professional events or will its use be a one-off? No doubt World Snooker and the WPBSA will now seek the opinions of the players who competed in Lisbon generally, as although we have seen a number of public reactions on Twitter, clearly there are a lot more players who experienced the changes who we have not heard from in the public domain. For now, the polish will not be used at this week’s German Masters qualifiers in Wigan, to the relief of some and frustration of others, but perhaps the key next time will be that the players are better informed beforehand than they would appear to have been here, or perhaps that the system is trialled at a non-ranking event such as the Shoot Out or World Seniors first. I still am shocked that WS didn’t polish the balls beforehand, and that most of the players have not heard of this ball cleaner. Every club I have ever played has had this polish and used it regularly, along with ball-cleaning machines. That this is standard after each play in clubs but not on the professional tour is ridiculous and quite shocking. This exact product has been around for years and years! I Just dont think you can stop a kick happening as Roland said in the first line most kicks happen because of badly struck cueball on thin cloths and that will still occur. So if a ball kicks with the balls polished players will then blame the polish or say there is no difference etc etc its a never ending story of players not wanting to blame themselves. yes there are different types of kicks but all that players see is they are not on the ball on due to a bad contact. I think Aramith recommends to polish the balls and always have. Of course it’s work and it takes time, but these are supposed to be professional conditions and to follow the manufacturers recommendations should be a must. Basically, when you have a collision between two balls, it will leave a mark/trace on both surfaces unless a very special material is used like some advanced extremely hard ceramics or the type of glass/sapphire used notably in clockworks or advanced engineering developments and that’s probably not economically feasible. The answer to repairing minute traces and scratches has been using waxes and polishes for years, if not centuries, and it’s still the economically viable solution. Thing is Ronnie hardly gets kicks yes it happens but for the amount of kicks he has in a season its not worth the money and resources to investigate the situation. Players will keep on complaining about something else if this works and this polish wont sort out the big bounces which are a far bigger problem in the game today than kicks. I agree that Ronnie gets less kick than most because he’s striking the balls better than most and also, when he gets them he’s usually just getting on with it without doing a “cinema” because of it. But polishing the balls before a competition should be part of the service as is brushing the tables or reclothing when needed. It won’t stop players complaining about kicks or other things of course. When Ronnie played Judd in the WC in 2013, Judd had any number of “kicks” when Ronnie had only one in whole match and that in itself is telling a story. But sometimes there is a genuine problem. I remember Mark Williams ranting his heart out after WINNING the first German Masters. It probably wasn’t about the balls that time. It was freezing at -20°C outside and it was hot and extremely dry in the arena. You could feel the static everywhere. The thing is, top pros like Mark Williams, Mark Selby, Shaun Murphy or Ronnie (to name only a few) take pride in their performances and they want to give the paying audience something worth their money. They get frustrated when conditions are not up to the standard they expect even if it’s nobody’s fault sometimes. Now there also are – and always will be – the ones who will always blame something or someone for their own shot-rtcomings. It’s human nature. Aramith recommends polishing because they sell the polish! Glad to see so many agreeing on “bad cue action” as a factor. Cloth is thinner than ever and tables are heated so all discrepancies will be enlarged. To me, the unexpected bounce is a problem that should/could be sorted. Either is the manufacturer not as god as old “Northern Rubber” that were the nr.1 supplier for ages, or is it also because of the thin cloth, I am surprised actually that the rails are not covered with a slightly heavier Strachan cloth.